The daily current affairs updates posted here are aimed at IBPS PO, Bank clerk, SSC CGL and other similar kind of exams. Top gk and current affairs from 6 February 2015 are given below. 1. World Ocean Science Congress (WOSC) held in Kochi. The World Ocean Science Congress (WOSC) was held on 6 February ,2015 in Kochi, Kerala. The event was jointly organised by Swadeshi Seience Movement- Kerala, WOSC consortium and the Kerala University of Fisheries and Ocean Studies. The aim of the WOSC is to find sustainable means to utilize the resources carefully without causing any damage to the oceans and its marine life. 2. Nasri Ejner conferred with Bharat Gaurav award. Nasri Ejner is a social activist of Indian diaspora (she has worked in Kuwait for 10 years and returned to India in 2012). She has worked with NGO’s like Rashtriya Life Saving Society (RLSS) and Gyansetu in Pune with an aim to impart educational training to young social workers on how to promote education in underdeveloped areas. The International Friendship Society has been presenting the Bharat Gaurav Award to the NRIs for their contribution in social work. It was started in 1977. 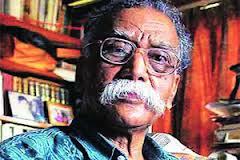 Jnanpith award is one of the prestigious literary awards in India. The name of award is taken from Sanskrit words Jnana and Pitha (knowledge-seat). It was instituted in 1961 and presented by Bharatiya Jnanpith, a trust founded by the Sahu Shanti Prasad Jain family. 4. RBI released the list of applicants for small banks and payment bank licences. The list contained 72 applications for small finance banks and 41 applications for payment banks were received. 5. 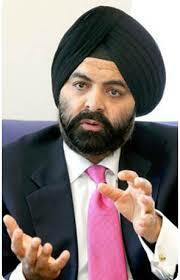 Indian – American Ajaypal Singh Banga appointed to a key administrative post in US. US president Barack Obama appointed Indian CEO Ajaypal Singh Banga member of US Advisory Committee for Trade Policy and Negotiation. He is currently working as President and CEO of Master Card. He was awarded with Foreign Policy Association Medal in 2012.